Rare vintage flint & petrol pipe lighter – solid brass, circa 1940. 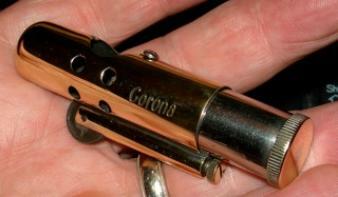 (IM Corona began making cigar lighters almost 75 years ago.) – from the Johnny Long collection – UK603F.